A B.C. resident who adopted a pig under false pretenses then slaughtered and ate it has been banned from receiving any more animals from SPCA branches in the province. Unfortunately, that's the only course of action available to the animal welfare agency, according to spokesperson Lorie Chortyk. 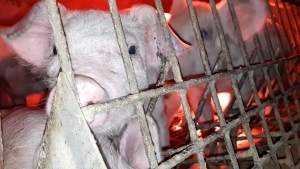 "Because they were the legal owners of the animal after the adoption and it is not illegal in Canada to eat animals for food, we have no legal recourse to recommend any charges," Chortyk told CTV News in a statement. The pot-bellied pig, named Molly, was among 57 seized during a cruelty investigation on Vancouver Island last year. She was adopted out in January, and the SPCA was informed last week that she had been eaten. Chortyk said staff are "extremely upset" with the situation because they did everything in their power to home the pig with owners who would care for it to the end of its natural life. "Our staff conducted a thorough adoption counselling process," she said. "The adopter gave assurances, verbally and in writing, that their intent was to keep the animal as a pet. Unfortunately it is a rare instance where an adopter blatantly lied." It's particularly heartbreaking because SPCA staff spent months nursing the dozens of pigs back to health after they were seized. If there were charges that could be applied to the adopter, officers would pursue them, Chortyk added. The individual is no longer allowed to adopt from any of the SPCA's 36 branches in B.C. 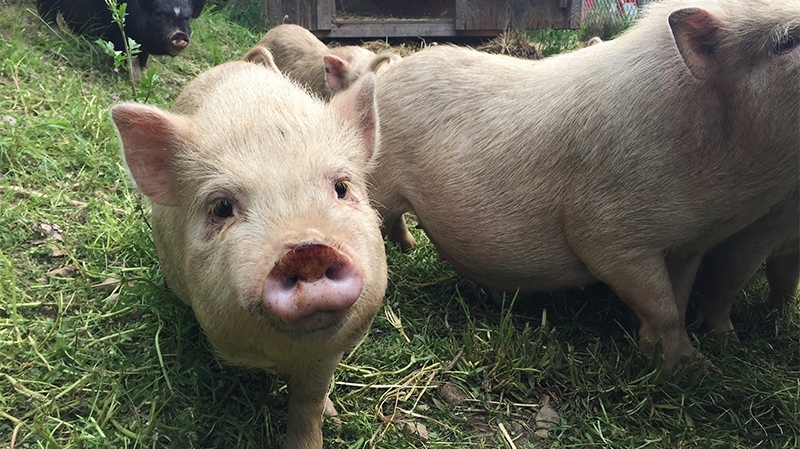 Some of the pigs seized during a cruelty investigation on Vancouver Island last May are seen in a CTV News file image.